WELCOME TO THE 5TH NEWSLETTER FROM WILM! WILM has had a great start to the year planning EVEN more exciting and educational workshops and events for our members. Most of our events are selling out, which is great news and encourages us to do bigger and better things. 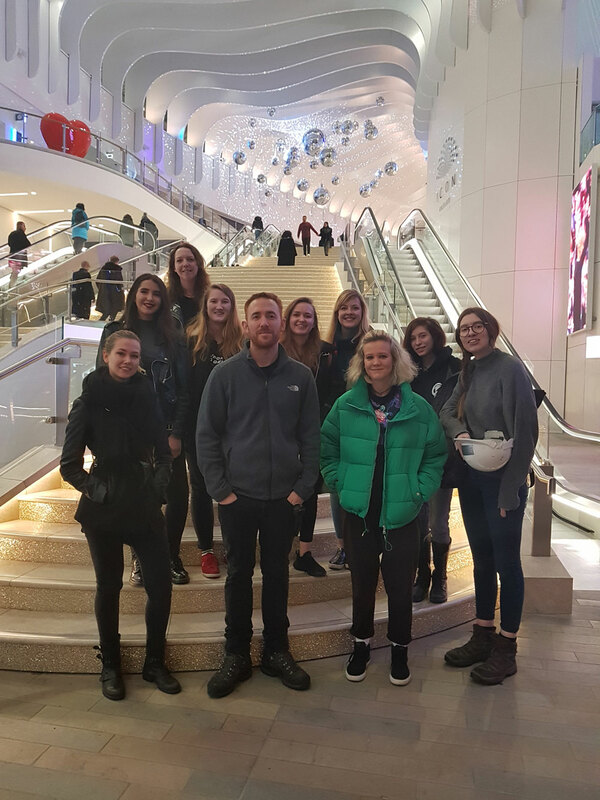 In January we invited members to a walk & talk of the amazing production of The 1975 at the 02 Arena, London. Stage manager Jack Dunnett took us on a journey around the production, whilst he told us about a typical day on tour. He told us about the huge amount of preparation that goes ahead months before the first gig. Jack also gave us some insider tips, how to get the gig as a stage manager – and how to stay on out on the road. A big thanks to Jack for having us and to all the members who attended. In February WILM went to ISE (Integrated Systems Europe) and met with many friends and supporters. We had a great time with those who came to our meet up and our dinner afterwards. 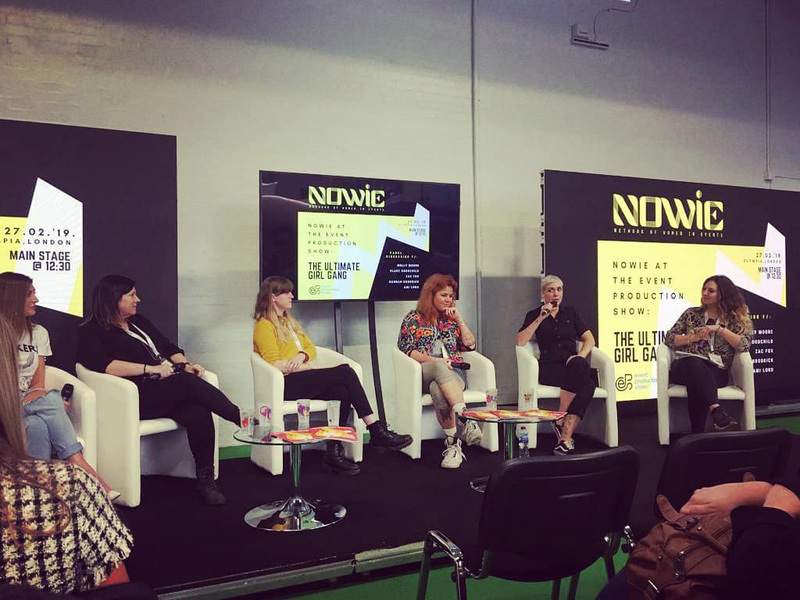 Also in February co-director Hannah Brodrick spoke at a panel discussion with other women in the events industry at the Event Production Show 2019. We had a great time and it was fantastic to meet some WILM members there. At the beginning of March we held our FIRST EVER lighting workshop alongside Shadow Me Women and ChamSys who provided brilliant training and consoles! 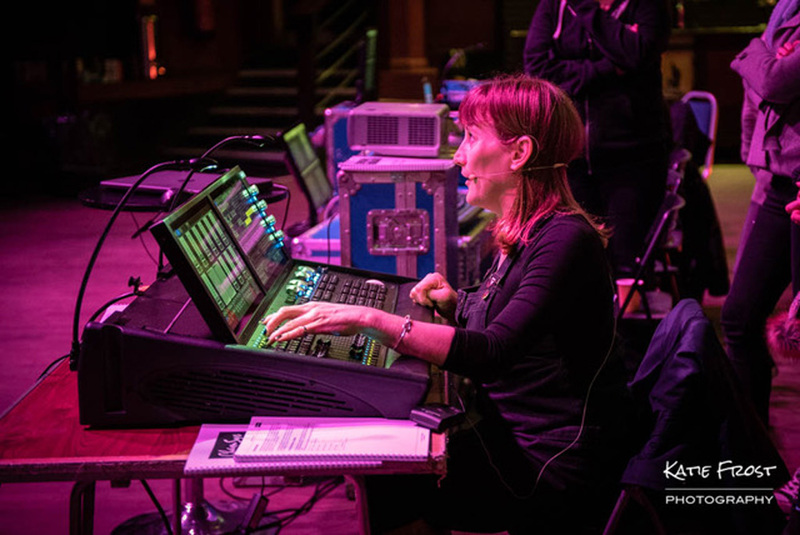 Held in the wonderful Shepherds Bush Empire, members received hands on training, learned the basics of DMX and programming and the social afterwards was definitely a night to remember. We can’t wait to put on another one! We are also delighted to announce that we were able to offer another internship for WILM members for the Britannia Row Productions Live Sound Training Course. Congratulations to Sofie Hunter who has just started the 3 months training! We are excited to hear all about it. Beginners workshop for Live Sound at the venue Forbrændingen. – Frankfurt Pro Light & Sound April 2nd – 5th. Come join us, we will be meeting for dinner on either April 2nd or 3rd. Info regarding all three projects can be found on our website and facebook page. In regard of above, we are working on a new concept called ‘Safe Learning Environment’. 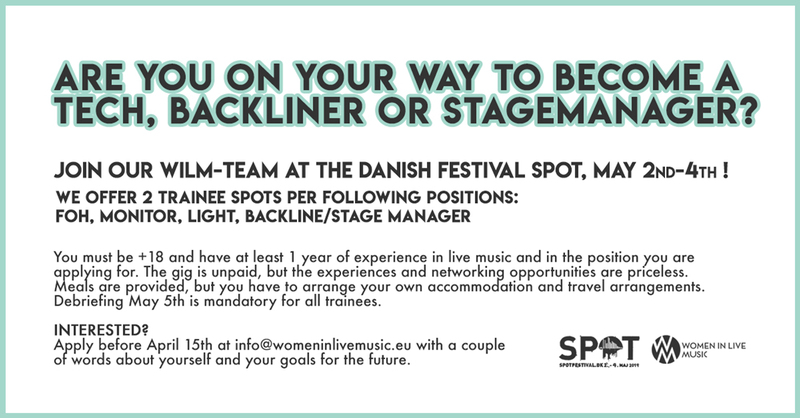 Some of our partners on this concept will be festivals, venues all across Europe. As one of our associates that we already on contract with, we can name Bang&Olufsen among others. If you know of any schools, higher education, companies, organisations etc. that would like to receive info on this project, please do not hesitate to get in touch with us. We are happy to announce that WILM has been selected as one out of teen projects that will receive a comprehensive 360° training including sessions on Marketing, Legal rights, Funding, Business development etc until the end of the year. The renowned tutors for WILM is Celia Castillo, Former Vice President of Global Marketing at EMI music groups. JUMP is co-funded by the Creative Europe Programme of the European Commission, coordinated by MaMA Festival and Convention (FR) and implemented by a network composed of Un-Convention (UK), C.T.L (PT), M.E.S.O (GR), Nouvelle Prague (CZ) and MIH (IT), and two associated events: XpoNorth (UL) & Lollapalooza Berlin (DE). Merchandise: You guys wanted it so we are pleased to announce the WILM merch stand is now open! We have tshirts, lipstick USB’s, bags and more useful and fun things to come! We are looking for volunteer fundraisers and donations. Please get in touch for more details. 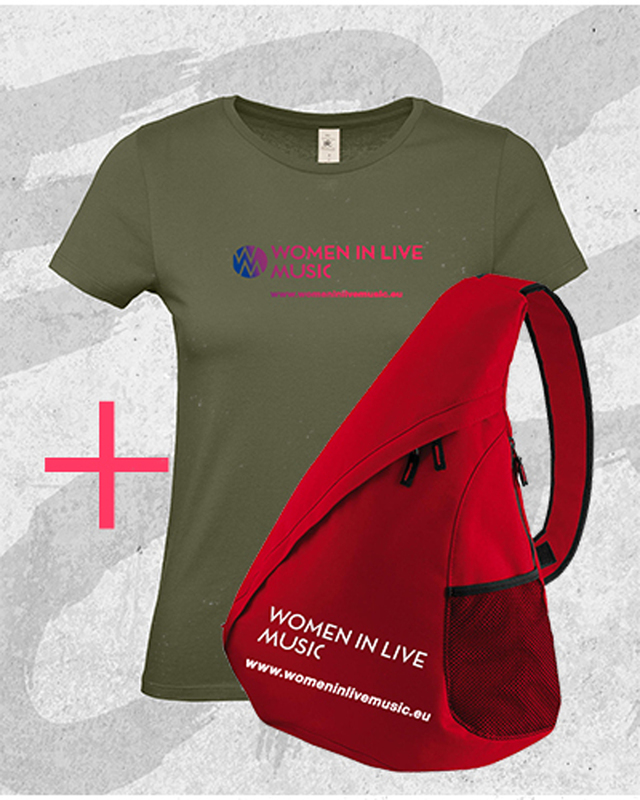 Please like our facebook page https://www.facebook.com/womeninlivemusic.eu/ where we put up dates for training, trade shows etc. here on a regular basis.